Potty training has been stalled for the last few months. The best advice given was to give it a rest, since, obviously, we were getting no where in September. We’ve left it up to Austin, and he is happy as can be wetting himself. I’m getting antsy. Every way I turn I’m changing a diaper. And, even though, it’s nearly nine months away, I’m already feeling stress about the potty training requirement for him to move up to the next preschool class. Because, honestly, I feel like it will never happen. Then, out of nowhere, there was interest. I throw my toothbrush into the sink and grab the nearest potty chair. “Okay,” I said, trying to reign in the excitement. I place it in front of him and proceed to help him with his pants. “No,” he mumbles and walks away, leaving me dumbfounded with potties everywhere and toothpaste still in my mouth. Touché, son. You have me wrapped around your finger, and, apparently, it was necessary to prove it that day. I am so over potty training. When Austin was a baby, we kind of slacked in the baby proofing department. Sure, we covered the outlets, and we used a baby gate as needed. And, of course, all cleaners and hazardous materials were placed safely from his reach. But, that was the extent of it. He opened and closed cabinets at his whim, pots and pans all a strew. I cringe looking back at the death trap of a coffee table we had. And, it took me entirely too long to part ways with the various fragile decor around the house. But, during the peak age of baby proofing, our house was on the market… for a year. I can tell you right now that hundreds of latches on every single door in your home don’t make for promising showings. So, we made do without. Here we are with Everett in the throes of curiosity and mischievousness. He is mobile and fast, and I feel like I’m a first time parent again. A new house and new obstacles. I think it’s safe to say we need to look at some more traditional methods. We need new baby gates. Ones for stairs and one for wide openings. We need latches for cabinets and potties, and more outlet covers. Forget plugging anything in to visible outlets. Everett will find them and try to eat them. Really, I could just use another set of eyes… and hands. Looking back, I can’t fathom how we survived without baby proofing every square inch of our house when it seems so necessary now. Perhaps that’s the difference in one versus two kids. It’s hard to keep a constant eye on two moving objects that rarely coincide with the same direction. Over the years, I’ve had multiple people, including strangers, tell me that Austin is the most active child they’ve seen. I’m never sure if that’s a compliment or code for GOOD LUCK! But, as Everett becomes more and more mobile, I’m not sure that he isn’t going to follow big bro’s lead. He is on the move. He is quick. And, he is up to no good. No more waiting. Time to corral these kiddos. Any recommendations on your favorite brands or items for baby proofing? In Texas, when it ices, the entire state shuts down. At the mere mention of snow, a 15-car pile up will occur in a matter of minutes, and people will begin swerving as if each piece of sleet is a land mine. 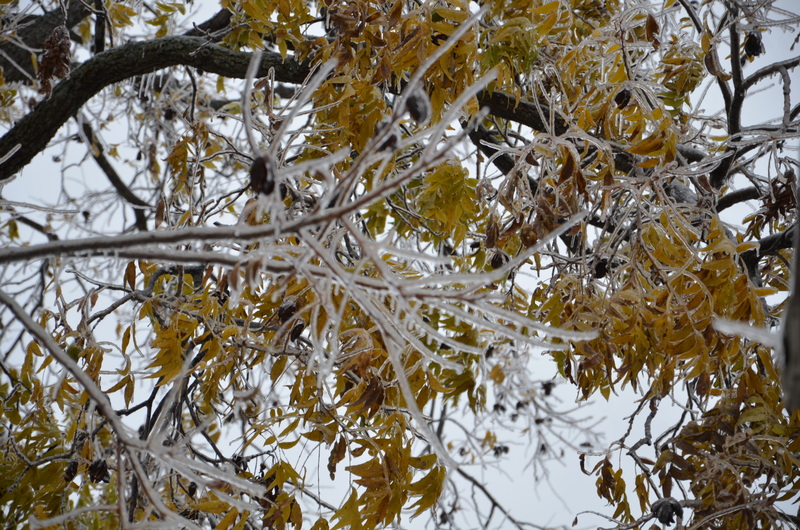 Welcome to Ice-pocalypse 2013. 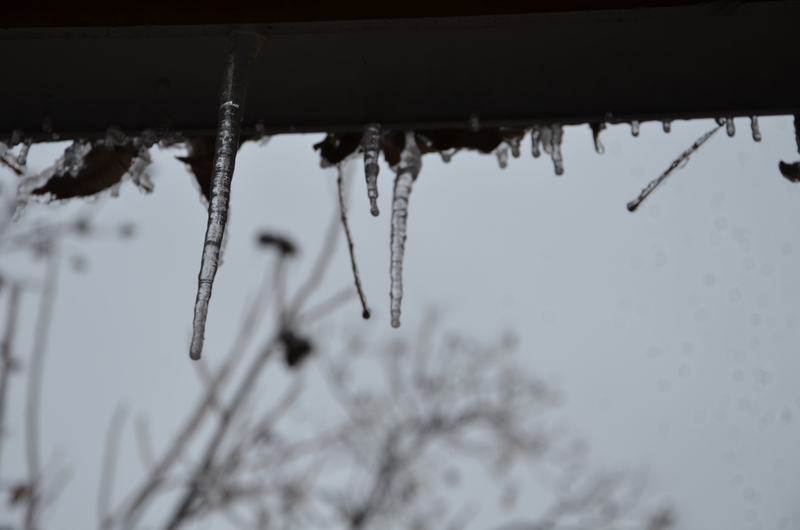 The sleet began on Thursday. The grocery store shelves were bare by that evening. People fought over chicken and bread. And, the entire Dallas-Fort Worth Metroplex went into hibernation. Friday morning came and the entire area was a sheet of ice. 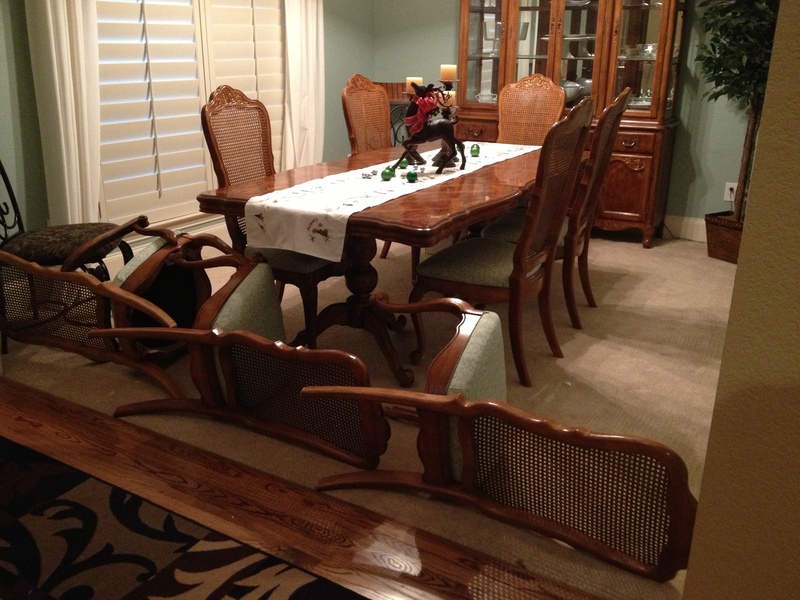 All across the Metroplex, life stopped as people were “trapped” in their homes. We went to Starbucks. We lived in Colorado for a couple years. The hubs is from there. While I hate all things ice, snow and cold, I moved back to Texas with a hint of Colorado in me. Shhh… Don’t tell the hubs. I’ll never hear the end of it. Experiencing an ice storm after moving back to Texas is a surreal thing. Before, I joined the masses and shut down life until every drop of ice vanished from the road. This time around, we pretended we were still in Colorado and went on with our lives. We still spent the majority of time snuggled away from the cold, but we also experienced a bit of the Metroplex in undisturbed peace. We sipped hot chocolate and saw beautiful fields of icy grass. We spotted icicles as long as Everett. And, we shopped Target as a ghost town. Five days into the ice-pocalypse and things have finally begun to thaw. Life returned to semi-normal today. The highways still crawled, but people were out. I’m almost convinced that the mere sight of ice on the side of the road is about as hazardous as it being on the road itself. In 2008, we celebrated our first Christmas as a wedded couple. Less than three weeks prior to that, we closed on our first home. Despite towers of cardboard boxes and a completely disheveled home, we still put up our first Christmas tree. It was beautiful. It was adorned with delicate glass balls gleaming in purples, reds, blues, silvers and golds. Gifts of Christohper Radko and Wedgewood ornaments were our extra special contribution to the tree. And, perfectly wrapped presents created a wreath beneath it. We snuggled under a warm blanket together, sipped our hot chocolate and admired our first tree in peace. Three years later, we had a freshly mobile one-year-old. Austin’s interest in the tree was short-lived, but long enough that the Christmas tree received its first remodel. Our precious CR and Wedgewood ornaments were elevated to the penthouse of the tree, safe from curious hands. Amazingly, only one gift huddled beneath the tree required a re-wrap that year. In 2012, the remodel turned more into a renovation. Not a single glass ornament made it on the tree that year. Bless Costco and their extra large tubs of plastic ornaments. I truly believe they were tested by toddlers. Unbreakable. I tried whole-heartedly to have gifts underneath the tree that year, but, in the end, I re-wrapped every single gift at least once. Ironically, when Christmas morning came, we had to coax Austin to open all of his gifts. Rule #1 of kids: Nothing is nearly as much fun with your parents’ permission. Another year. Another change. Our Christmas tree went up the day after Thanksgiving. No glass ornaments again. They are safely stored for a less destructive age. The tree went up perfectly, and it looked as though we would have a similar tree to last year’s… until today. I walked into the living room to find Austin nestled next to the tree. He had removed one of the cushions from the chairs, and there in front of him, he had lined up a number of ornaments from the lower extremities of the tree. He smiled at me, and proudly showed off his collection. 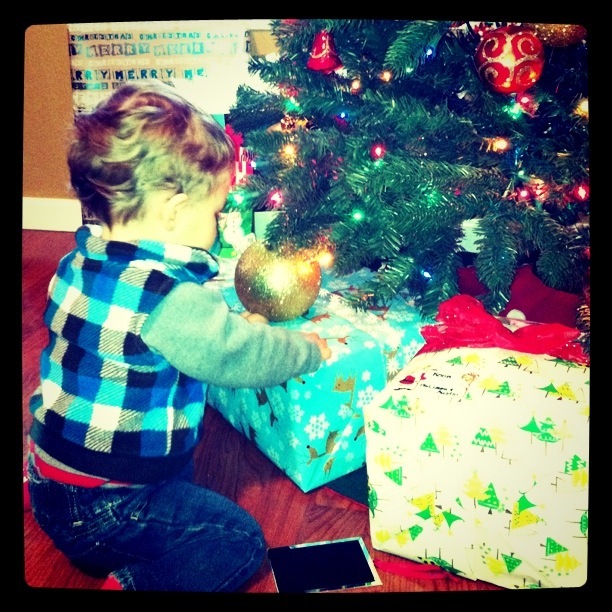 A few moments later, I spot Everett bounding after a giant, glittery ornament much like a puppy. In fact, when he finally captured it, he celebrated by attempting to eat it, despite it being the size of his own head. So, this year, I have two options. I can remove the bottom half of the ornaments, or I can let it be. This is the year my tree becomes our family tree, and I’m just going to let it be. What a transformation we have seen over the years. As we change, so does our tree. The Christmas tree tells our story. It’s messy, imperfect and a little rough in spots. But, it’s always colorful. It’s always bright, and it is well loved. 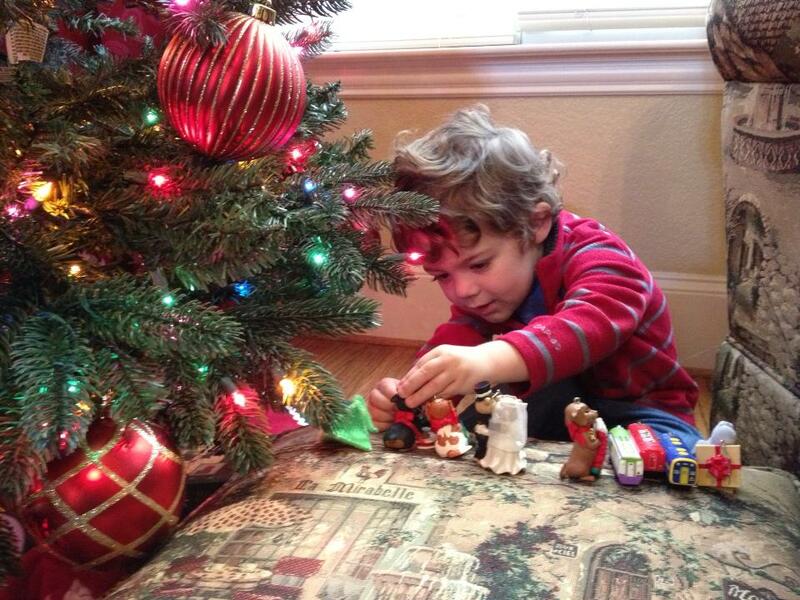 Ornaments will come and go, but the precious moments we share as a family beneath this little tree will carry on. That first Christmas seems ages ago. No longer is there the same peace and quiet surrounding the Christmas tree. There is something better. There are snuggles, sweet giggles and wonderment from two precious boys that far outweigh the quiet. It’s a different kind of peace. I love our tree. I love its story, and I love that it is ours. Merry Christmas from our family to yours this Christmas season. Good news. Nobody contracted food poisoning from our Thanksgiving dinner, which ultimately means dinner was a success.